You're not going to stick to most of your resolutions this year, for the same reason you'll be writing 2016 on your checks at least till February: The calendar changed, but you're the same person you've been for a while now. One way to fix that -- and to make a resolution you'll actually keep -- is to follow through on your perennial promise to see more of the world. Where to go? 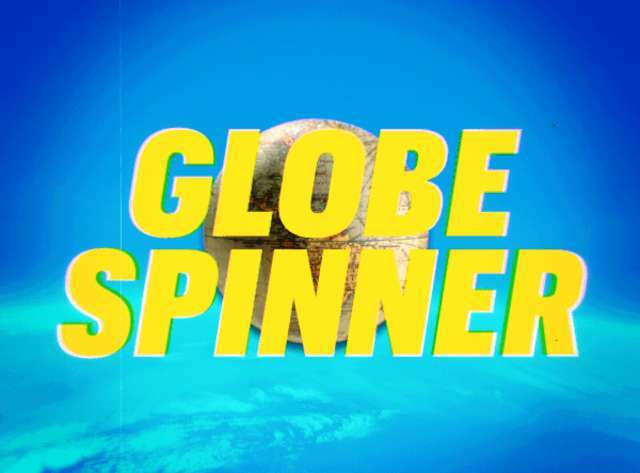 Anywhere cheap. Somewhere your Midwestern twang counts as a semi-exotic accent. Or, to hell with it: Hawaii is never, ever the wrong answer. But you also have the chance to chart something completely unexpected. We asked our writers for the places on the planet they'd recommend to someone who could only take one big trip this year, because, let's face it, most years even one is pretty damn good. They sent dispatches on lush beaches, urban crannies, and far-flung mountain hideaways. These are their best spots for making memories. Make 'em yours, or get moving boldly toward your own. 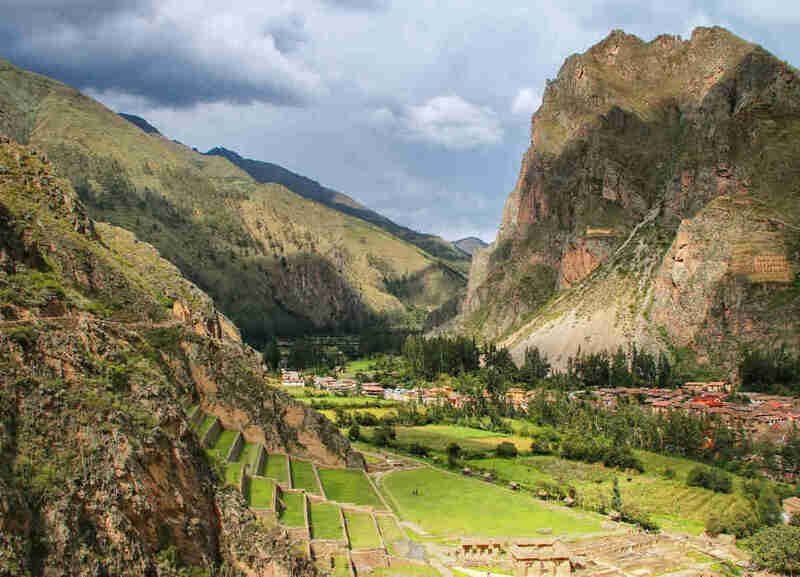 About nine miles north of Cusco is the Sacred Valley, a lush landscape fed by the winding Urubamba River and flanked by a stand of glacier-capped mountains, many of which rise even higher than Machu Picchu. And yet Machu Picchu still tends to be the only reason that tourists scurry, heads down, through this marvel. Yet at such a loss! Back in the 1400s, the Incas built royal estates in the area. They knew what was up. This, my friends, isn't a place to pass through. It's a place to hunker. Lousy with Incan ruins, some of the most stunning views of your life, badass women's textile collectives, cobble-stoned towns where you won't be trampled by tourist hordes, and all the giant-kerneled choclo corn your heart will soon know it desires, the Sacred Valley is, soles to donuts, the perfect place to get your adventure and your relaxation on, with radically different vistas to be seen within the span of a short drive. Our Earth's polar underside -- a crystallized otherworld -- overpowers you with colossal, sculpted baby-blue icebergs drifting past stadium-height glacial citadels. Whales breach, seals snooze, and penguins return your stare. Once the playful penguins' kazoo/quack soundtrack melds with whimpering seals, yapping gulls, pleading terns, thundering glaciers, and the geyser-sighs from whale blowholes, you've arrived. The UN-sponsored 1959 Antarctic Treaty is a global law declaring that this continent can only be explored with peace for all in mind: no to hunting, fishing, industry, exporting, oil drilling, or weapons testing. The only time you can visit Antarctica is during its short summer (the coldest part of our winter). Unless you're part of a sanctioned scientific group on a research base, the only way to get there is by an ice-piercing ship, which means braving the two-day (each way) roller-coaster journey across the typically raging Drake Passage. This might be the most expensive vacation of your life, but you'll never look back with anything but pride. 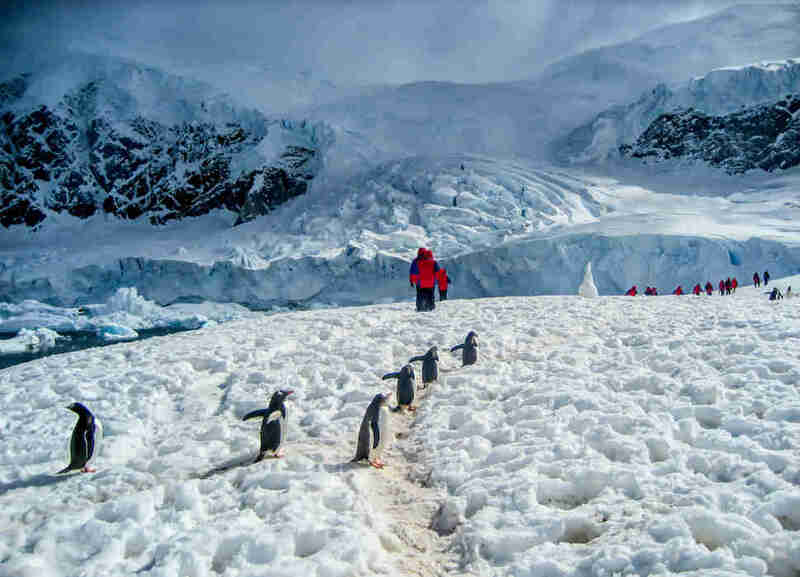 One way to cut costs in half is sailing last-minute standby (old, rich people get sick or miss connecting flights) from Ushuaia, Argentina, the tail-tip of South America and the launch point for most Antarctic cruises. 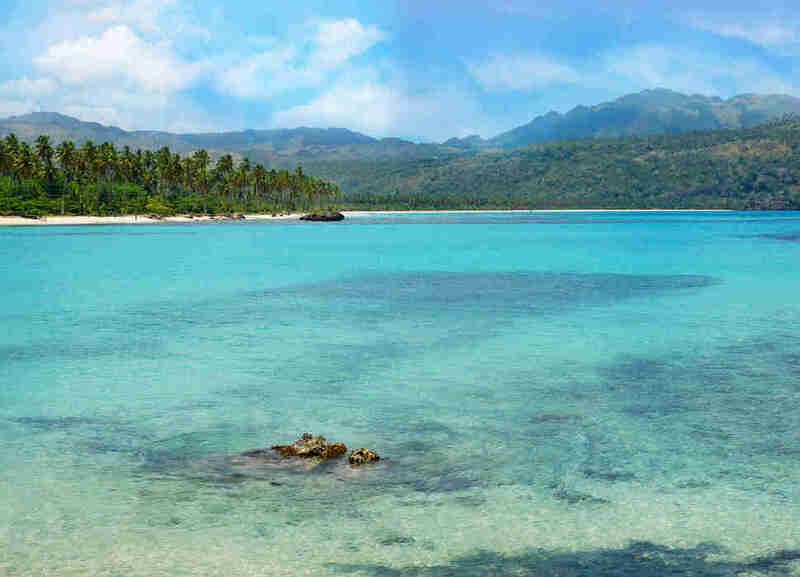 There may be no place in the Americas with more untapped tourism potential than this 30-mile peninsula that reaches into the Caribbean Sea from the Dominican Republic's northeast. A small band of French expats settled into the peninsula in the 1980s, mainly near the beach town of Las Terrenas, but the peninsula has remained largely forgotten by foreign tourists since then, save for a smattering of Europeans who come to Samaná for its lush, natural beauty and an abundance of remote beaches that fit the Caribbean ideal of white sand, azure water, and swaying coconut trees. Samaná is visited every winter, however, by the entire Atlantic population of humpback whales, who have flocked to the Samaná Bay for thousands of years to mate and to give birth, making this one of the best places in the world for whale watching from late January till mid-March. 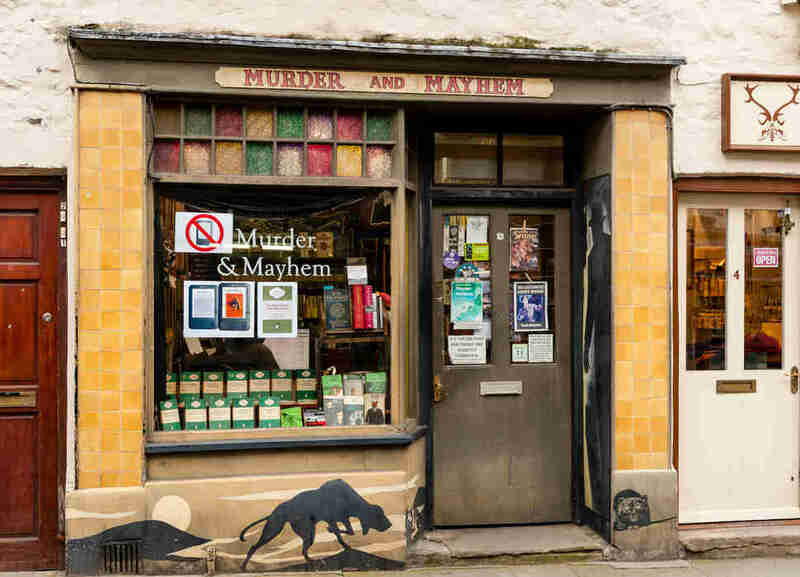 On the Wales side of the English border, along the River Wye, sits Hay-on-Wye, a mecca for bibliophiles the world over. The town of roughly 1,600 book-loving souls inspired Lonesome Dove author Larry McMurtry to collect thousands of antiquarian books in the empty buildings of his rural Texas hometown. Hay-on-Wye's biggest local annual event, the Hay Festival, is one Bill Clinton once described as "Woodstock of the mind." In turn, the booksellers in this little town celebrate language and knowledge from around the globe -- mysteries, crime dramas, historical romances -- with a fervor that makes the whole place a veritable open-air library. Not so long ago, more than 60 bookstores thrived here. That's a ludicrous number. New York City, no literary slouch, has roughly one bookstore for every 10,000 residents. Hay-on-Wye still supports about two dozen such stores, which works out to one for every 70 townsfolk. People know Walt Disney World as the "the happiest place on Earth." 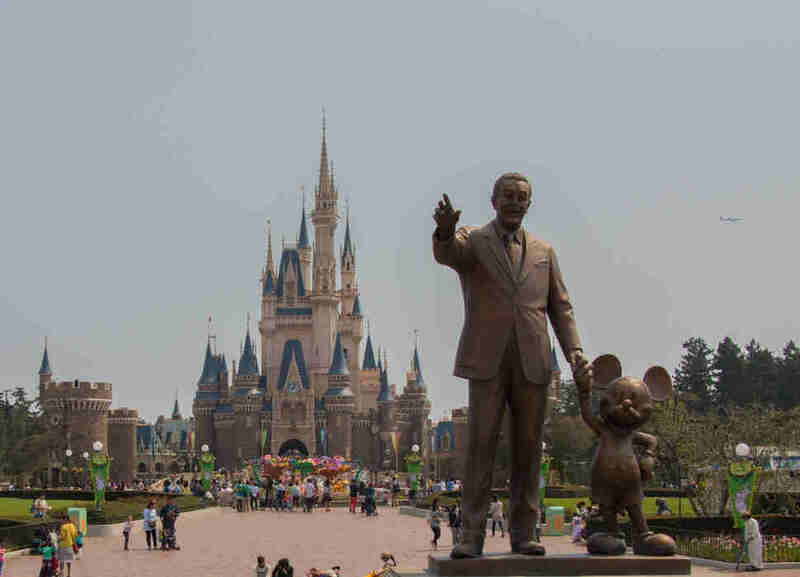 But compared to Tokyo Disney Resort -- with its quiet, well-mannered children, delightful groups of teenagers carrying matching stuffed animals, and impeccable cleanliness -- it's a hellhole. The Japanese truly can claim the most pleasant, brain-soothing set of theme parks you'll ever visit. Tokyo Disneyland, done in the likeness of Florida's Magic Kingdom or Anaheim's OG park, feels like an oasis from the loud, frenetic locations back home. Meanwhile Tokyo DisneySea, its neighboring eye-popping expanse, brings together the tales of Jules Verne and sirens of the seas to create an amalgamation of submarines, Venetian canal boats, and a Teddy Roosevelt-themed cocktail bar inside an old-timey steamship that somehow just works. For about 12 hours last year, I found myself in the one city that is impossible to screw up. Naturally, it took a feat of true duncery to get there: I'd arrived 22 hours late for a flight out of Newfoundland (two hours early for my traveling companion's flight, though!). The only reasonable route back to New York included an overnighter in Montreal. Twist my arm, why don't you. 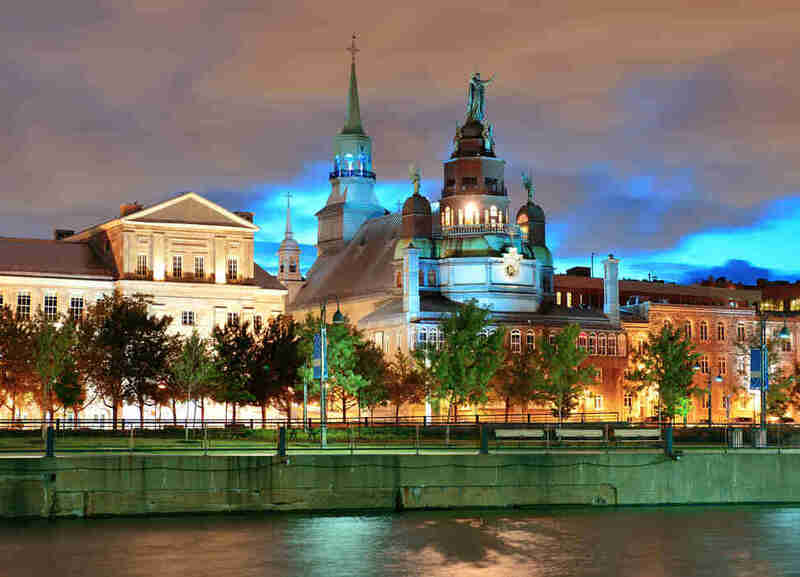 So here's your idiot's guide to doing Montreal not merely on the cheap, but on zero notice. Aim to stay near Mount Royal -- as the only extinct volcano in town, it isn't hard to find -- and within walking distance of the euphoric drag of bars and venues on Boul Saint-Laurent. Check literally any calendar, and you'll find some kind of cultural blowout nearby. (In summer, when days are long and nights soft, Montreal congregates outside for music and art and cigarettes. In winter, when night arrives early and frigid river gusts peel your face like a tomato, Montreal congregates outside for music and art and cigarettes, in peacoats.) Then take a walk. I booked a $45 hostel online, bought a $10 transit ticket from the airport, dropped off my stuff, and meandered to a low-key bar called Divan Orange. Outside, the street was cleared for art installations, chatty drinkers, and the occasional skateboarder. Inside, a $5 cover was all it took to hear a lovely, Radiohead-esque set by a local band that sang in 100% English and bantered in 100% French. The Swedish landscape that cushions the country's eastern coast is a paradise of riches. Wooden falun-red houses, pine trees, and blueberry bushes set a gorgeous backdrop to some of the most dramatic sunsets possible -- that is, during the part of the year when the sun actually does set. The Bothnian coast seems almost fictional, a static canvas of striking backdrops with rugged cliffs, valleys, and towns decked with medieval churches. Starting in Stockholm, it's an hour north to Uppsala, the region's southern edge. From there you can drive, or follow the coastline up to the Arctic rim with the North Bothnian rail line, stopping off at Gävle, Hudiksvall, and Lulea. The fire is out, and it's time to play in the Smokies. Wildfires ravaged Tennessee in autumn 2016, spreading through the eastern part of the state and into Great Smoky Mountains National Park. Officials, fearing the worst, shut down the park indefinitely as fires raged. The resort town of Gatlinburg evacuated residents just as one of its heaviest tourism seasons, Smoky Mountain Christmas, was ramping up. Some 2,400 buildings in Sevier County were damaged or destroyed before, at last, the rains came. The firefighters won. 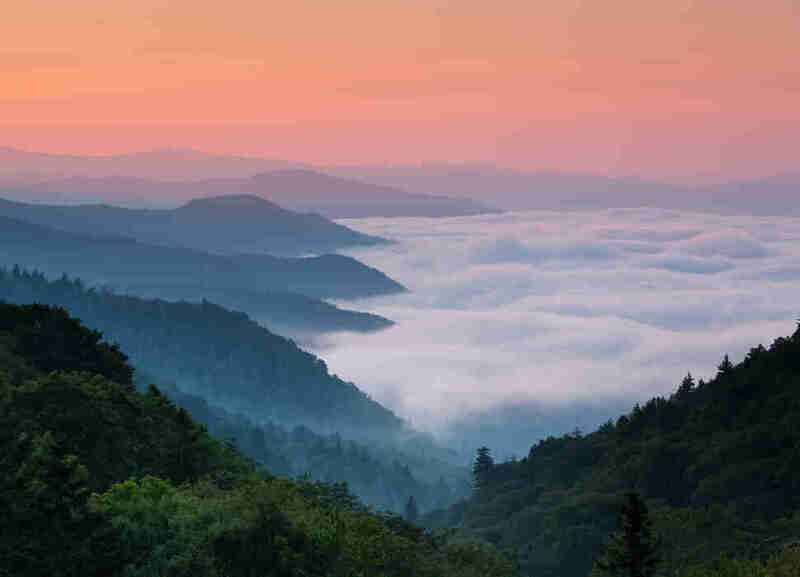 Life returned to the Smokies, just in time for the holidays. Europe's rising hipster darling doesn't try too hard. 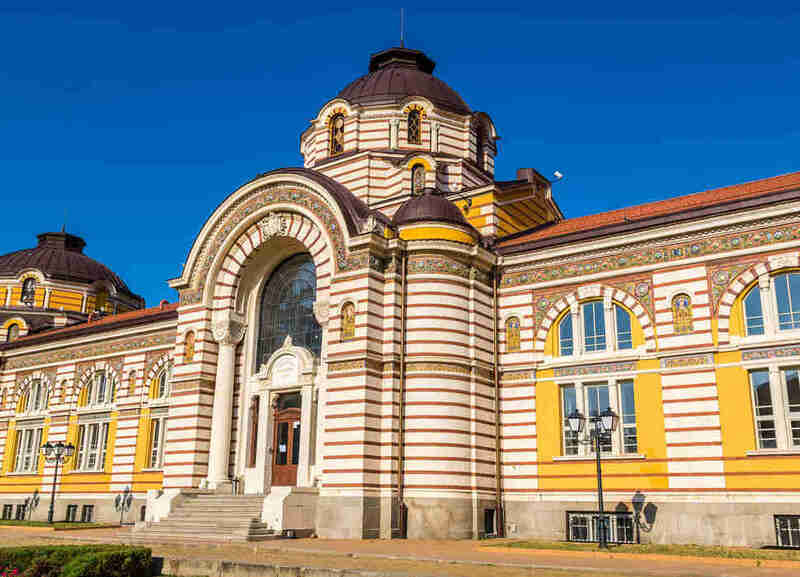 As far as European hipster enclaves go, Sofia is privy to a homegrown cool factor that hasn't hit the tourist radar just yet. Take the nightlife -- one side of the scene is artsy and reclusive, tucked into Communist relics. You might spend an entire day and night sipping homemade raspberry wine at A:part:mental, a former embassy that's now a labyrinth gallery-cafe-bar, or hole up inside Hambara, a candlelit den where beatniks and intellectuals once congregated. I have been to exactly two places in my life that put me completely in awe of nature. One was the Grand Canyon. The other was the entire island of Dominica. It's a place where you hike up and down steep cliffs through ferns, banana plants, and calling birds to 200ft waterfalls pouring out of an emerald gorge. 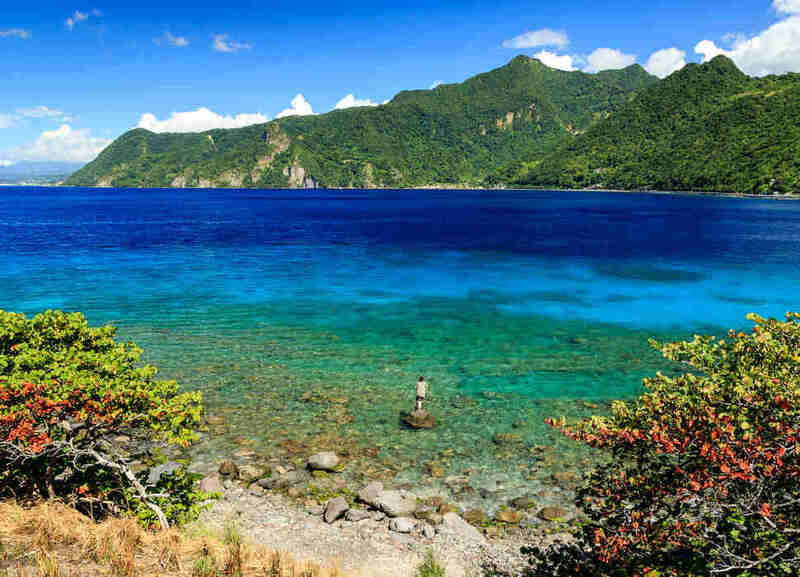 Then in the afternoon scuba dive through a reef over a volcanic spring, where tiny bubbles tickle your body and make you feel like you're slicing through Champagne. There's a yin to South Korea's neon-megalopolitan, party-hardy yang: the pristine mountains and sparkling sea coasts that earned the country its nickname of the Land of the Morning Calm. At its pinnacle is Gangwon Province, an all-seasons playground for nature-chasers situated some 65 miles east of Seoul. 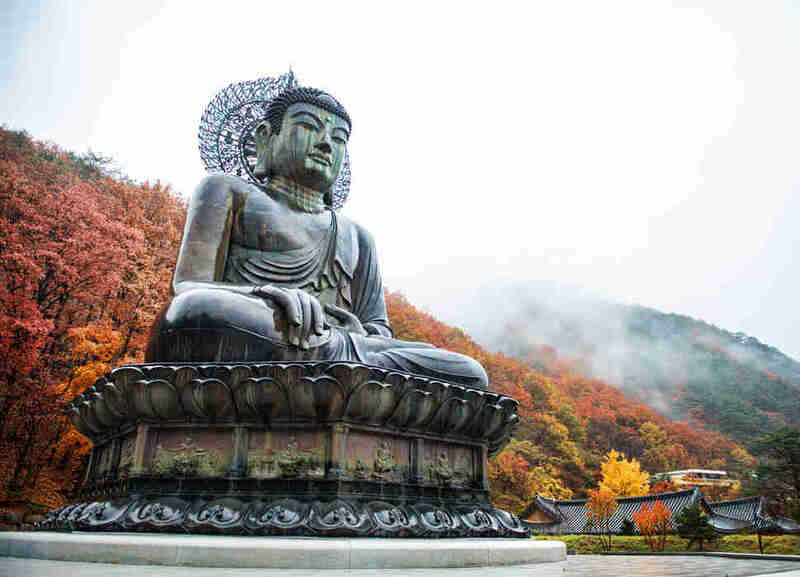 Prepping for its Olympics close-up is Pyeongchang, the craggy county in Central Gangwon that abounds with snow-capped resorts slated to host the 2018 Winter Games. Hit up spots like Alpensia or Yongpyong (whose name translates amazingly to "Dragon Valley") to take on the vertiginous slopes destined for the world's greatest athletes -- then bliss out over a magma-like Korean stew that will warm you to your core. Drive an hour and a half outside of Paris to this region sprawling with hundreds of picturesque 17th-century French towns all known for one export: sparkling wine. 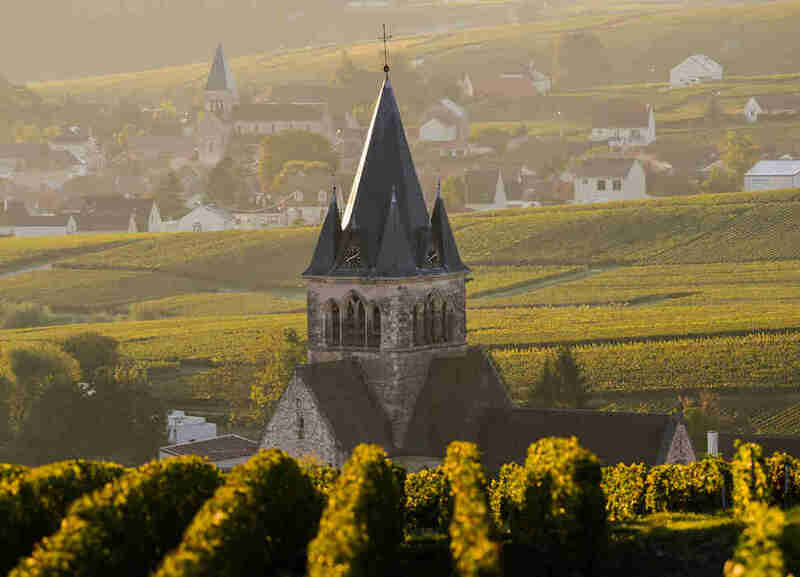 The only 76,000 acres in the world certified to make legit Champagne are broken into five districts, each of which has distinct character and charm to make your trip feel like multiple trips to European villages. This little town is often referred to as the trekking capital of Argentina, and as such its reputation as a hiker's destination is world-class. Even novices can find a trail with views of Patagonia's epic glaciers and snowcapped Andes Mountains. 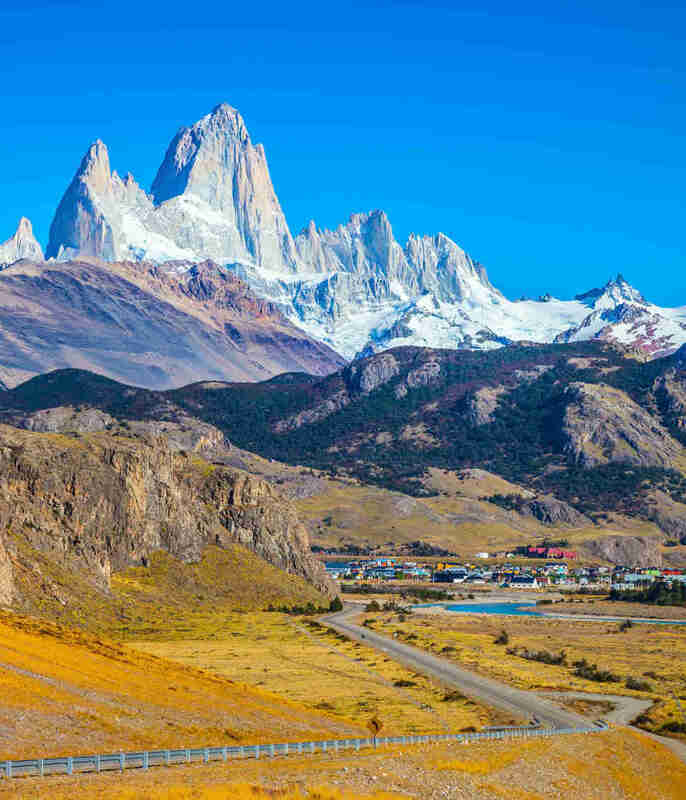 But it has also stopped the best: El Chaltén has been a launch pad for professional climbers and explorers, many of whom have died trying to reach the granite peaks of the Fitz Roy mountain range. If you don't want to tempt fate, find a guide or ranger for recommendations. Experienced trekkers will spend months preparing for rigorous overnight hikes such as the Paso Marconi expedition. For an easier day hike, try the Laguna Torre trail, which puts you at the base of a crystal-clear glacier pool overlooking Cerro Torre, the highest peak in the Fitz Roys. The best advice I received before making a two-week trip to Costa Rica was, don’t try to see it all -- you'll spend all your time driving (the roads aren't always, well, roads! ), and not enough time embracing the hell out of this spectacular country. The hard part is deciding where to start -- rainforests or beaches (and you need to do them both); in my research, Jacó either received slams (traffic! Grime! Hookers!) or raves (parties! Bars! Hookers!). But we chose right. 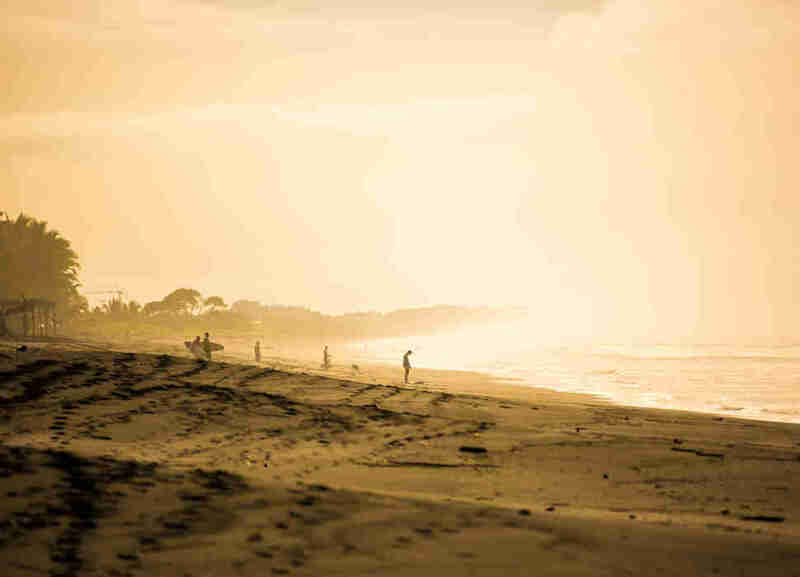 Jacó 's rustic charm lies in the way it lures you in: It's rough around the edges, and full of hammock-lined porches, pro surfers, and non-pros who chucked their old lives to surf anyway. Life here revolves around waves, zip lining, canyoning, and downing beers. Aosta is distinct from the gas-lit streets and skiing families of the alpine French towns just minutes away. 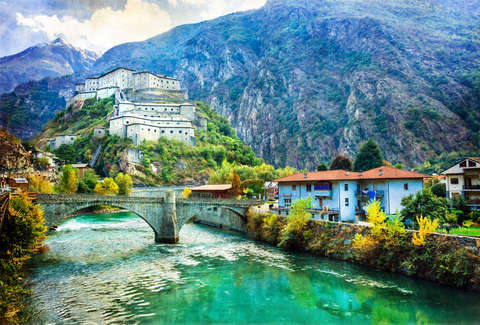 Rather, once you arrive here, fresh from a drive that includes a seven-mile tunnel drive beneath Mont Blanc/Monte Bianco, you'll notice the mix of cozy chalets and austere medieval ruins on the narrow streets. This is where modern France, modern Italy, and the Roman Empire collide in the mountains and then serve you dinner. This region of Italy is known for its spectacular meats which gave rise to the local specialty, carbonada: a hearty, wine-based stew of chopped beef and pancetta cooked in butter and served over creamy polenta. Fontina cheese also hails from the valley; try fonduta valdostana, a velvety volcanic fontina best served with fresh bread. The valley also produces excellent red wines, but the drink is genepì: a sweet, herbal liqueur made from alpine wormwood (warning: it's a cousin to absinthe). 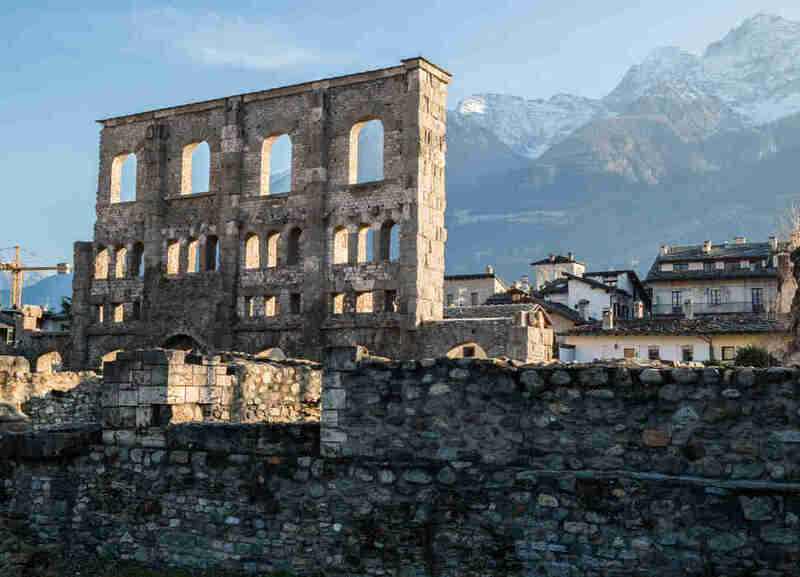 When (if ever) you're done feasting, walk it off in the verdant Parco Nazionale Gran Paradiso or explore the ruins within the city limits. Among the pervasive carved wood sculptures, crumbling Teatro Romano (Roman Theatre), Arco di Augusto (Arch of Augustus), and remnants of the old city wall, the coolest site is the 1,500-year-old Cattedrale di Santa Maria Assunta, with its stunningly ornate, Hagrid-sized doors and explorable catacombs.